Estate Planning is a way of taking control of the future. A valid and comprehensive estate plan will ensure that your money and property is distributed to your heirs and beneficiaries in compliance with your wishes. Moreover, an estate plan can assist your family in the event you become incapacitated and are unable to manage your financial affairs and/or health care decisions. Without an estate plan in effect upon your death, California law and potentially the probate court (if you estate is valued at more than $150,000) will distribute your estate to your heirs pursuant to a formula that may not be what you intend. Allowing California law and the courts to decide how your estate is distributed may be fine for some people, but most people want to direct the distribution of their money and property at their death. The only way to manage and control the distribution of assets upon your death is by creating valid estate planning documents which includes a will, a revocable living trust, financial power of attorney and advance health care directive (also known as a living will). Estate planning can be a complicated process, and we do our best to make sure that our clients have all the facts, know the implications of their decisions, and are able to ensure that their wishes will be honored. 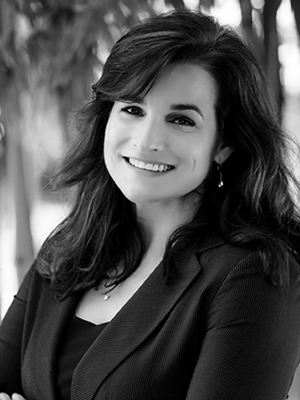 At the Law Office of Raquel M. Silva, we have extensive experience helping clients take control of their futures and assets by setting up a complete estate plan. Whether you are a parent with small children or enjoying your retirement, we can help you create a comprehensive estate plan tailored to you and your needs. Contact our Davis, California, estate planning lawyer online or call 530-758-0500 to set up an appointment to discuss your estate planning needs. A will is a legal document that provides a mechanism for how your estate is to be handled upon your death, which includes how assets are to be distributed, the guardianship of your minor children, and who shall be responsible for handling your estate. Distribution of Assets – In your will, you can name specific beneficiaries (family, friend, spouse, domestic partner, charitable organizations, etc.) to receive your assets. You may also identify specific items for distribution such as jewelry, automobiles, and specific amounts of money. Your will should also specify what should be done with your remaining assets not disposed of by gift. Guardianship – Through your will, you can nominate a person or persons to be responsible for your minor child(ren)’s care and well-being should you pass before the child(ren) turn 18 years of age. You can also specify a guardian, who may or may not be the same person, to be responsible for managing assets given to your minor child(ren), until the child(ren) turn 18 years of age. Executor – Your will allows you to nominate a person who is responsible for collecting your assets, paying any debts, expenses, or taxes due from your estate, and then, with the court’s approval, distributing your assets as specified in your will. A Revocable Living Trust is a legal document that acts as a partial substitute for a will. With a Revocable Living Trust, your assets, such as your home, bank accounts, and investment accounts, are put into the living trust, administered for your benefit during your lifetime, and then transferred to your beneficiaries upon your death. People who own homes and/or have cash and investments assets with a gross value of $150K or more need a revocable living trust to avoid the court mandated probate upon their death. With Revocable Living Trusts, most people name themselves as the initial trustee in charge of managing their trust’s assets. This allows them to remain in control of their assets during their lifetime even though the assets have been put into the trust. A successor trustee, who may be a person or an institution, can be named in the event the original trustee ever becomes unable or unwilling to manage the trust’s assets. A Revocable Living Trust may be amended or revoked at any time by the person(s) who created it, as long as he or she is still mentally competent to do so. There are many variables that should be considered when creating a Revocable Living Trust. Contact the Law Office of Raquel M. Silva, CFLS, to determine if you need a Revocable Living Trust and how best to proceed. A power of attorney is a document that allows you to appoint a person act as your agent and to make financial decision on your behalf while you are alive. Powers of attorney can specify persons to assist with financial decisions or medical care directives. Depending upon your individual circumstances, you need to be sure that you select the type of financial power of attorney to meet your individual needs. Non-durable Power of Attorney – A non-durable power of attorney, or a general power of attorney, authorizes an agent to make financial decisions on matters which the principal (you) cannot attend to personally. This type of power of attorney can be revoked at any time and becomes invalid when the principal (you) becomes incapacitated. Durable Power of Attorney – A durable power of attorney is similar to the non-durable power of attorney with the exception that the durable power of attorney remains valid in the event the principal becomes incapacitated. Here is an overview of the process for creating Advance Health Care Directive. Gather Information – Check with your physician or health care provider to determine what options are available when making end-of-life decisions. Connect with an attorney with experience in this area to provide information from a legal perspective. Discuss your decisions with key people – Talk with your friends, family, medical providers, and those who are close to you about your end-of-life decisions. Prepare your Advance Care Directive Form – Enlist the aid of your attorney to complete your form. Your attorney will make sure that the form is complete, accurate, and fulfills your health care decisions. Designate an agent – Select a person who will handle your health care decisions. This person can be a spouse, family member, or other agent. Be sure to talk with them to ensure they understand your requests. Inform key people about your preferences – Notify the people who are likely to be involved in the end-of-life care process. This can be your family doctor, friends, healthcare provider, or other designated agent(s). Notifying the right people will help ensure that your end-of-life wishes are carried-out. It is important to understand Probate and Small Estate Administration and how it relates to estate planning. Probate is the court mandated and supervised process for distributing assets to the beneficiaries listed in a deceased person’s will. Probate can be a lengthy process and can be overwhelming. Depending upon the size and complexity of the estate, probate can last anywhere from nine months to two or more years. Assets are in accounts where a “payable-on-death” beneficiary has been named. Small estates can be handled differently. If the total gross value of your estate is less than $150,000, your estate may be handled through the Small Estate Administration process. With this process claimants to the estate must prepare and sign an Affidavit (or Declaration) for Collection or Transfer of Personal Property. The Affidavit may not be prepared, signed, and presented until 40 days after the date of death and cannot be used to transfer real property (real estate). Visit our Law Resources Page for more information about Estate Planning, Wills, and Trusts.